The High Speed Mezzanine Connector (HSMC) adapters HMF3C and HMF3D are general purpose adapters for extending the height of an HSMC port. If two main FPGA boards are to be stacked, an HSMC adapter card must be used. Presently, the HMF3C and HMF3D HSMC adapters are compatible for stacking. 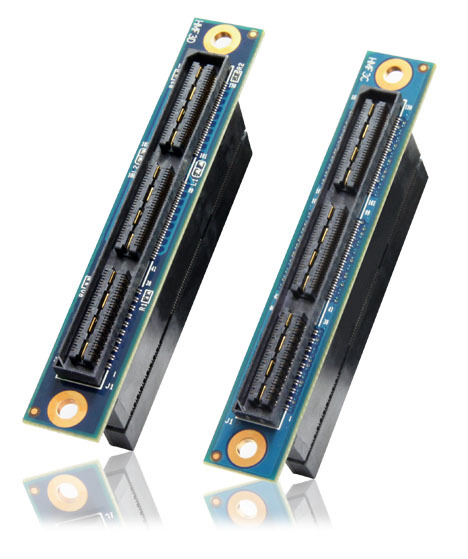 These adapters add the necessary height required to mount one development board on top of another.